As December approaches its final days, I find myself in a reflective mood. As in previous years, I’ve put together a set of Year in Review photos to summarize many of the year’s activities. This is my image-centric summary of 2014. One of the ways Felkerino and I like to ease into our longer training rides is with the local standby route known as the Leesburg Loop. 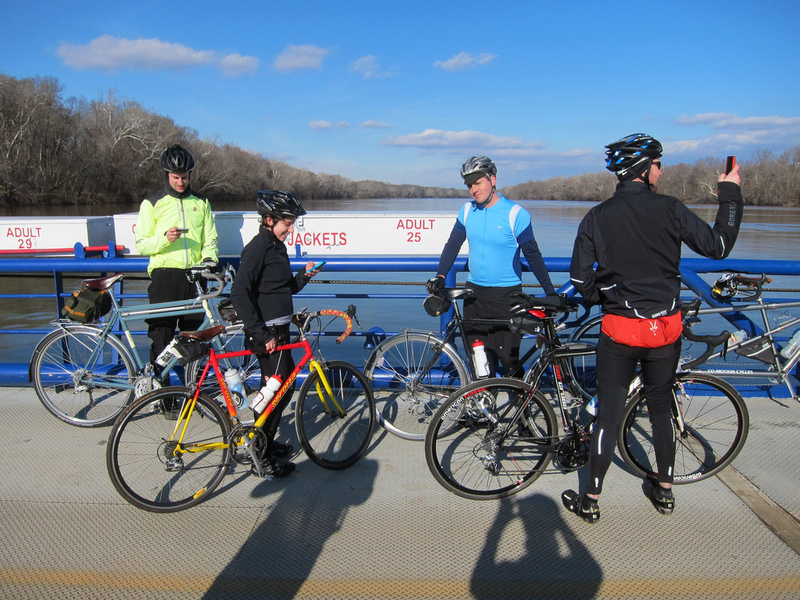 For us, that means taking the W&OD trail out to Leesburg and White’s Ferry, and returning via roads around or through Poolesville, Maryland, and back to Washington, D.C.
For the ride you see above, we gathered a small group of BikeDC’ers to accompany us. 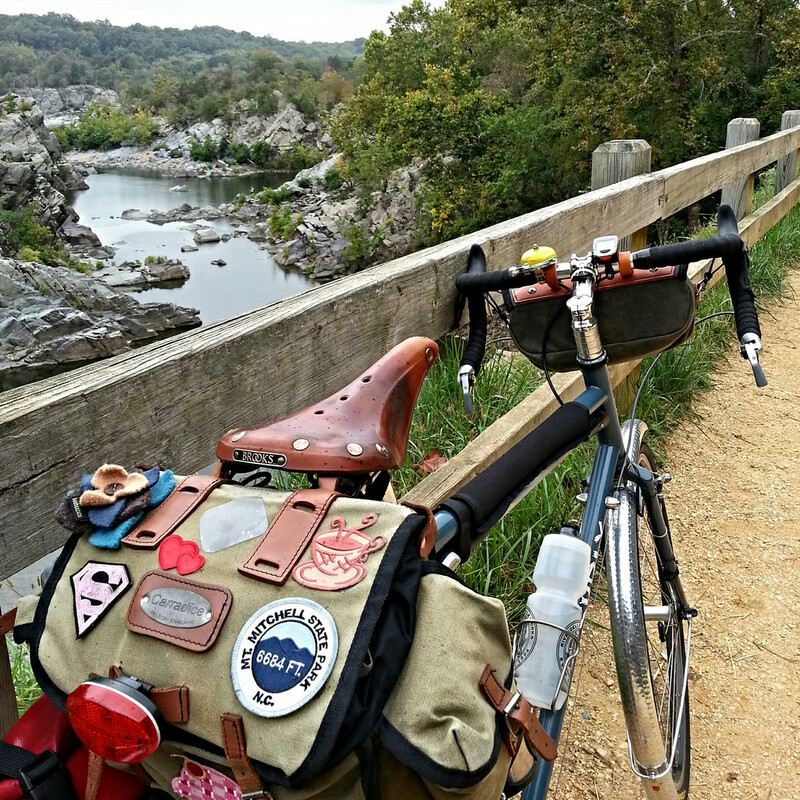 As is customary on the Leesburg Loop, we made sure to take a photo as we crossed the Potomac River. Cold days didn’t stop our lunch run. 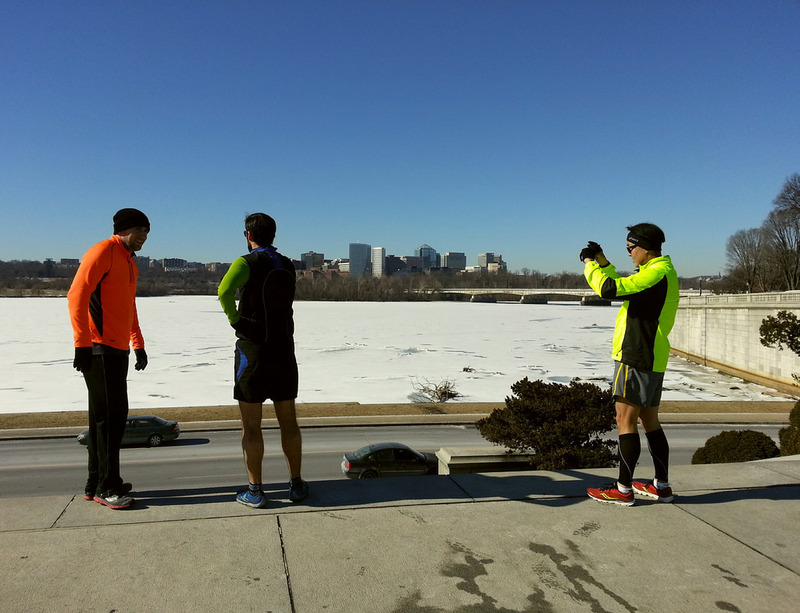 This is a pic of the short field trip we took one January day just past the Lincoln Memorial to check out the frozen surface of the Potomac River. Not much to report for February, except that it seemed cold all the time. No matter, throw on the layers, stick some toe warmers in your shoes, grab a balaclava and booties, and hit the road. This photo is from a brisk century that started in D.C. and extended to Southern Maryland. It was a good day, and always nice to do a ride that doesn’t involve getting in the car. 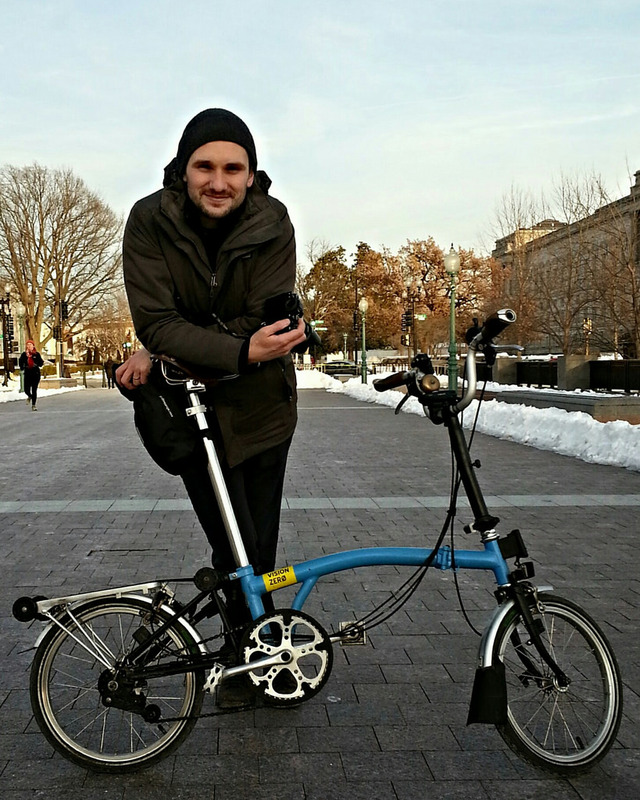 In March, the Bike League held its annual summit in Washington, D.C. As luck would have it, the summit drew Dmitry Gudkov to the city and we arranged a quick meetup for a bike portrait at the U.S. Capitol. It was a thrill to meet Dmitry and to be part of his bike portrait series, which generally focuses on BikeNYC. As we were wrapping up, I asked to take a picture of him with his bike. He graciously agreed. 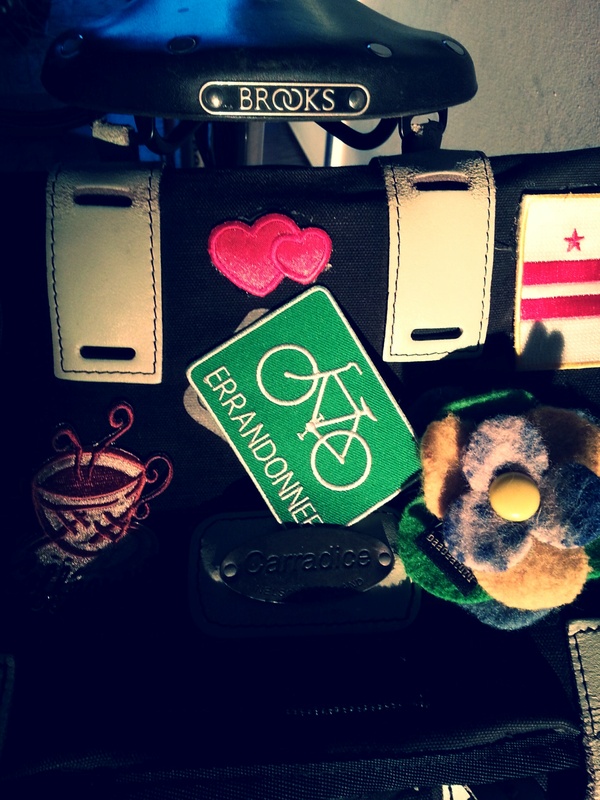 March was also the month of the Errandonnee— 12 errands, 12 days, 30 total miles. 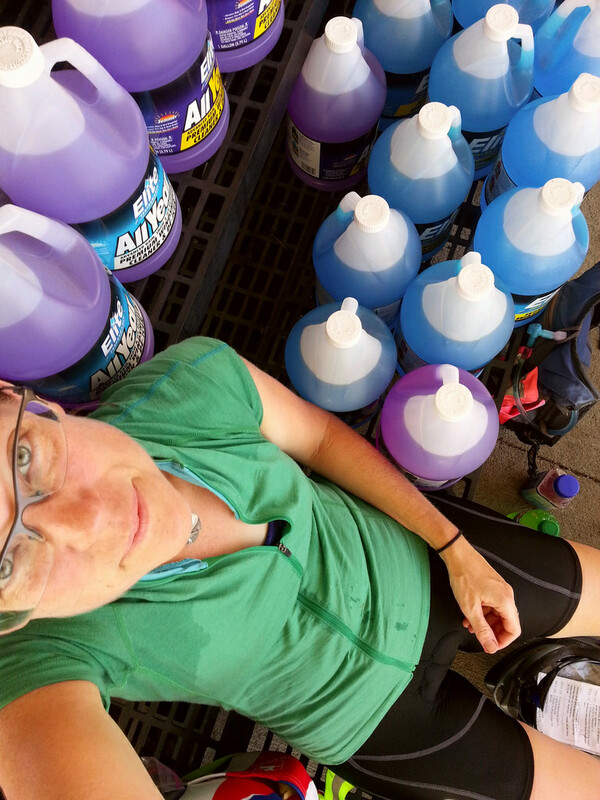 I love this challenge because it’s so interesting to see the different types of errands people have to do and I also gain insight into how people accomplish them by bike. Also, errandonneurs are a creative group who manage to fit all of their various tasks into the limited categories I developed. These will be updated for next year, based on participants’ feedback. 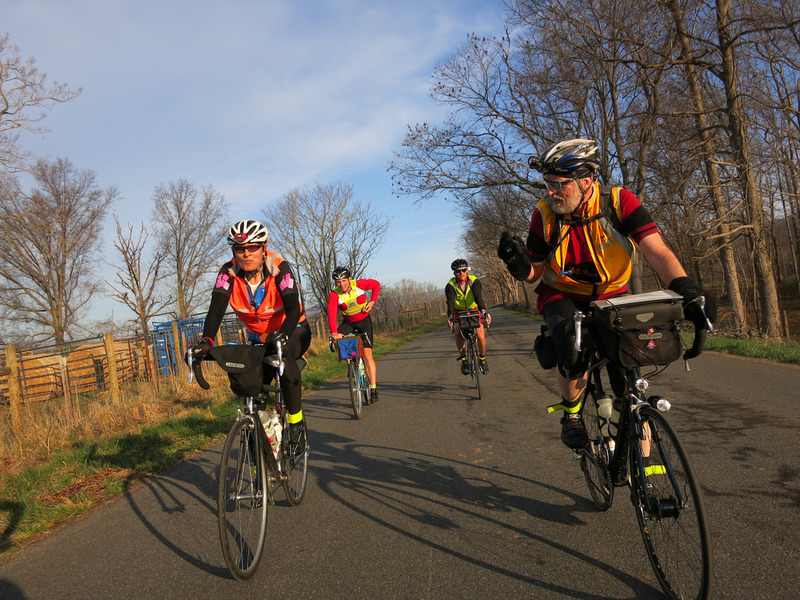 The brevets kicked into full swing this month, and Felkerino and I delighted in the springtime sun and temps on the D.C. Randonneurs 300K. This picture summarizes our ride– smiles, snacks, photos, and sun. It was a gorgeous day to be on the bike. 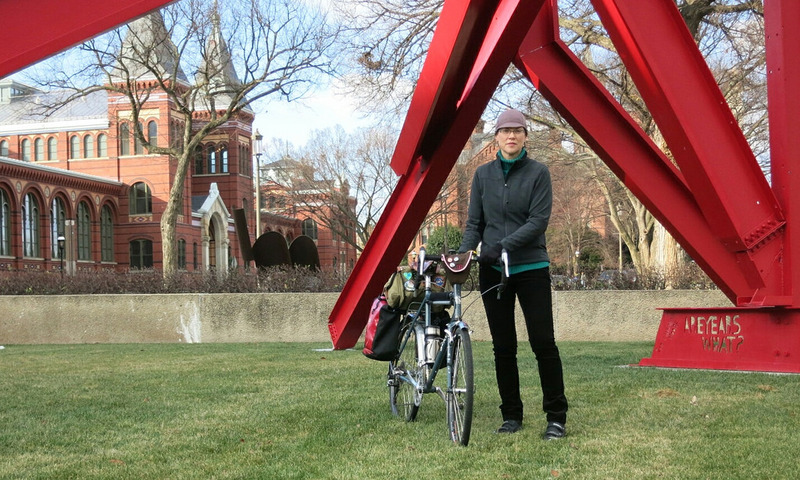 April was also the month of the 30 Days of Biking challenge. I didn’t care so much about riding every day of the month, but I did care about bringing joy back into my commutes. Through the 30 Days of Biking, I was actively on the lookout for the positive in each day’s ride. Springtime is lovely in Washington, D.C., but I had forgotten to pay attention to the city’s beauty. 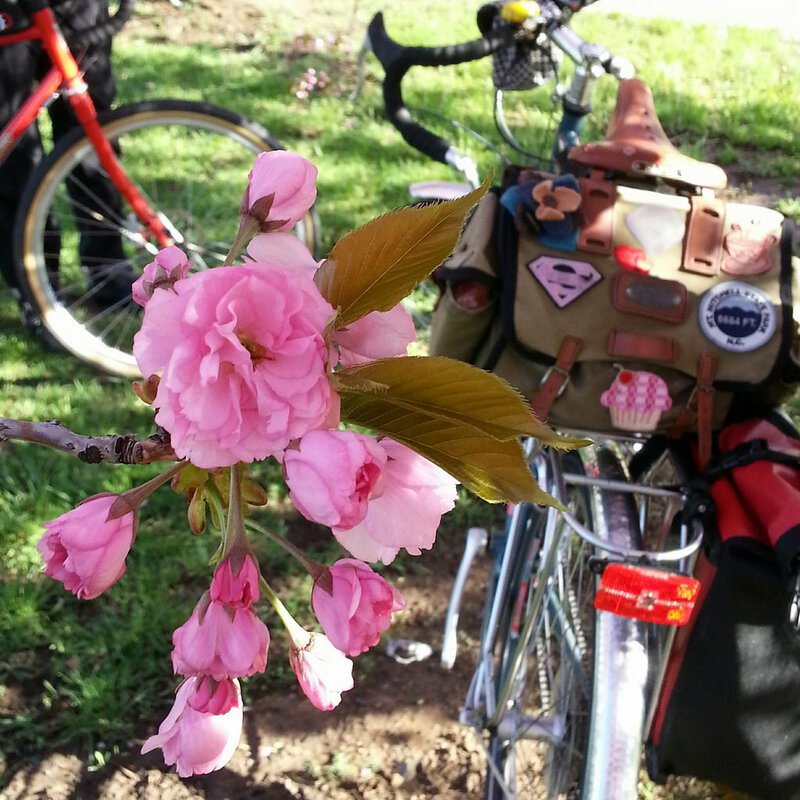 The D.C. Randonneurs bumped up their brevet this schedule such that we rode both the 400K and 600K brevets in May this year. While I prefer to have them a bit more spread out, it didn’t seem so bad, especially with the gift of an open June. 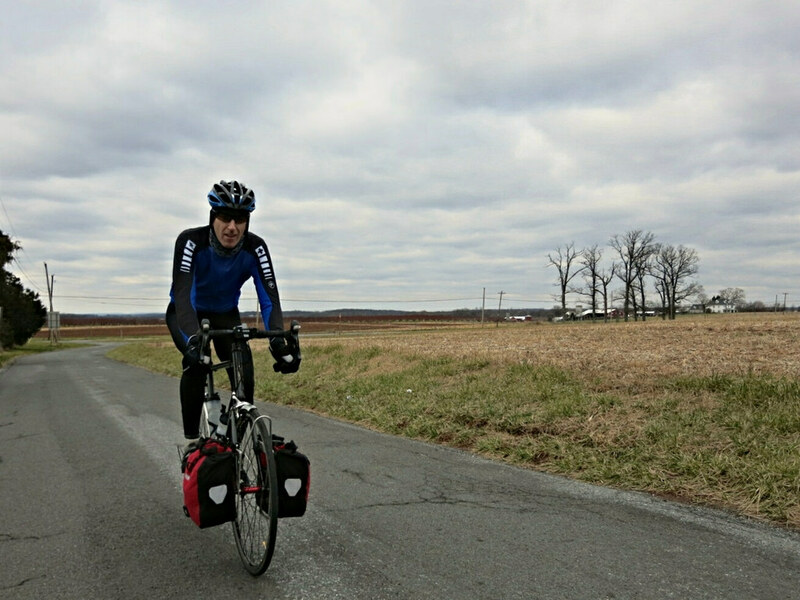 The photo above is of Matt H., from Harrisonburg, Virginia, ascending one of the hallmark climbs of the club’s 400K brevet, which took us through the hilly areas of Maryland and into Pennsylvania. We weren’t close to the top of this rise, but the views were good so we stopped for a photo. Felkerino and I returned to the area three months later, along with our friend Jerry, and climbed this segment once again as part of our big ramp-up ride for August’s Appalachian Adventure 1000K. It was just as challenging the second time. At the end of April, we headed into Virginia for our club’s 600K. I remember several low points on this ride– essentially the first 60 miles of the second day. But this photo is from our first day on the course, when it felt like we were out on a grand adventure. Felkerino and I had paired up with the 650B brigade– Rick R., David, and Brian. They were such positive, easygoing company. This photo was taken a few miles after our dinner stop, in the early evening sun. After all the brevet activity of May, it was nice to change to more informal training rides. 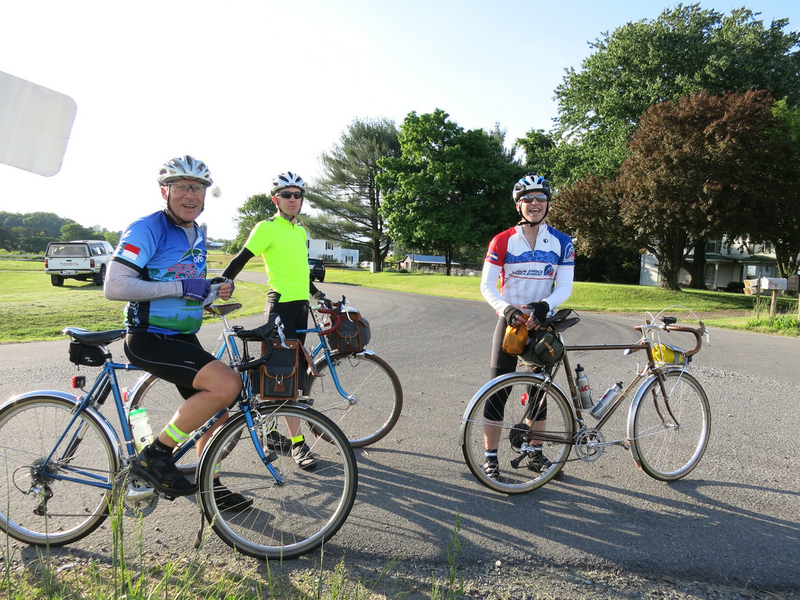 One of our June excursions included a bike overnight from D.C. to Martinsburg, West Virginia, and back. 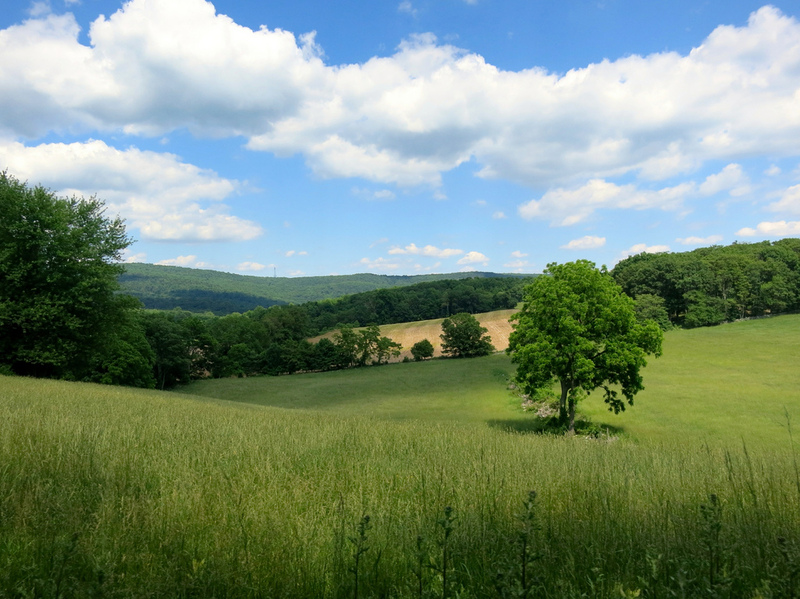 This is of the view after the summit of Harp Hill (outside of Gambrill State Park in Maryland) the hard way. Harp Hill the hard way is one of the more excruciatingly steep climbs in our area. I can’t say I enjoy muscling up this monster, but the view at the top is worth it. Words cannot express how much I love summer bike touring in Colorado. The terrain of this state is so distinct from the gnarly ups and downs of the east. The change of scenery always helps to clear my head of my everyday problems. The low humidity and long days make for the best kind of bike touring. We also have good friends who provide excellent route input and have hosted us pre- and post-tour. 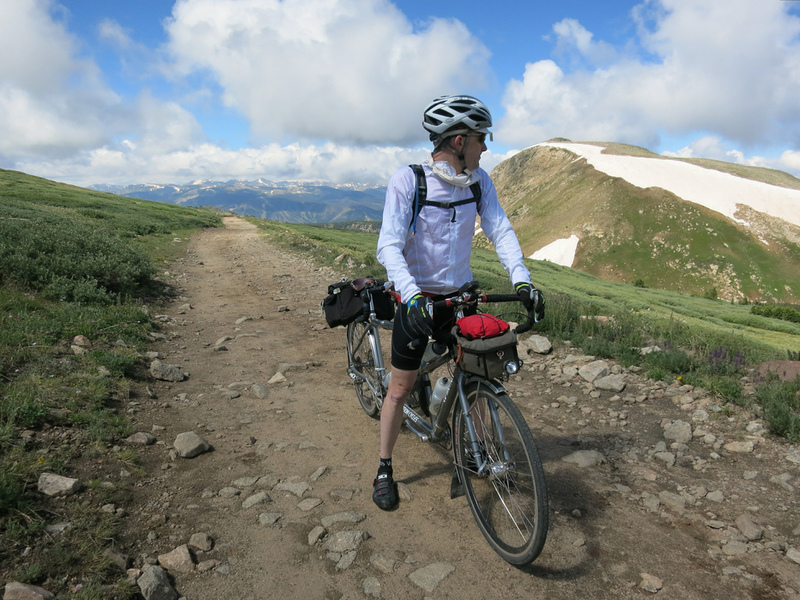 On the last day of our two-week tour of the state, we crested Rollins Pass and underbiked our way down the mountain back to Boulder. I took so many photos of our time on Rollins Pass in hopes that I would never forget how awesome this day was. Until we meet again, Colorado. 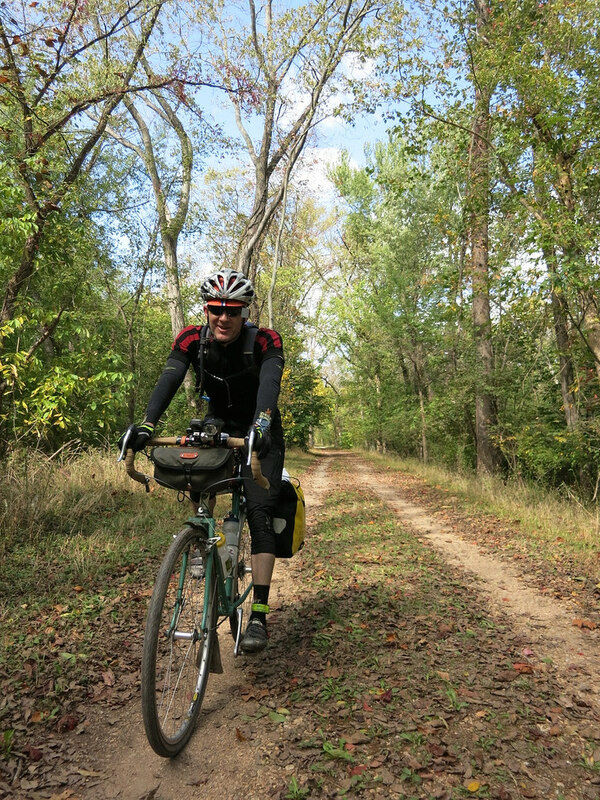 After two weeks of blissful touring in Colorado, we returned to the D.C. area for one final tune-up ride (540K), and the pre-ride of the D.C. Randonneurs Appalachian Adventure 1000K. The 1000K is a hilly and scenic course laid out as a set of three double-century-plus days. It’s a challenge I’ll not soon forget. The first photo is of our friend Barry on the second day of our ride, after we descended off of Warm Springs Mountain and rejoined the road that took us past The Homestead resort and golf course in Hot Springs, Virginia. I actually remember climbing Warm Springs Mountain the other way (away from Hot Springs) one year on a bike tour, and saying to myself how relieved I was that I wouldn’t have to climb it in the opposite direction. Ha ha ha! The laugh’s on me this time. The second photo is of me on the final day of the Appalachian Adventure 1000K. It was hot, and I was relieved to be sitting and refueling at a Sheetz gas station (though I was heartily advised not to drink the Kool Aid beside me). By this time I had given myself up to the ride, knowing that if we just kept pedaling we would finish. We didn’t know when that would be, only that it would happen. “Only” 100 miles left to go. This, my friends, is the randonneur lifestyle. In September, we came into a couple of Seagull Century registrations, thanks to our friends Ted and Jean. Never having done this century, which is one of the largest on the east coast, I was eager to see what all the fuss was about. Seagull is a flat and fast course, with course marshals at every intersection so you can keep your momentum steady. Wind is the main element that can slow a rider (that, and rain) because with all that flat there is not a lot of tree protection. The day we rode Seagull turned out to be picture perfect. Sunny, warm, and light winds. We even saw the wild ponies of Assateague! This photo is of our friends, Steve and Andrea, at one of the first rest stops. For the last couple of years, October has been primarily a running month. This fall, I combined two of my favorite activities: running and bicycling. I rode my bike to Harper’s Ferry, West Virginia, via the C&O Canal on a Friday. Felkerino rode out later that evening to meet me. I ran the Freedom’s Run Marathon the following day, with Felkerino cheering me all along the route, and we returned to D.C. together via the C&O on Sunday. Bike mini-tour plus marathon eventure! I love this spot along the C&O and, even though it has been photographed who knows how many times, I still like to pause for another snapshot memory. 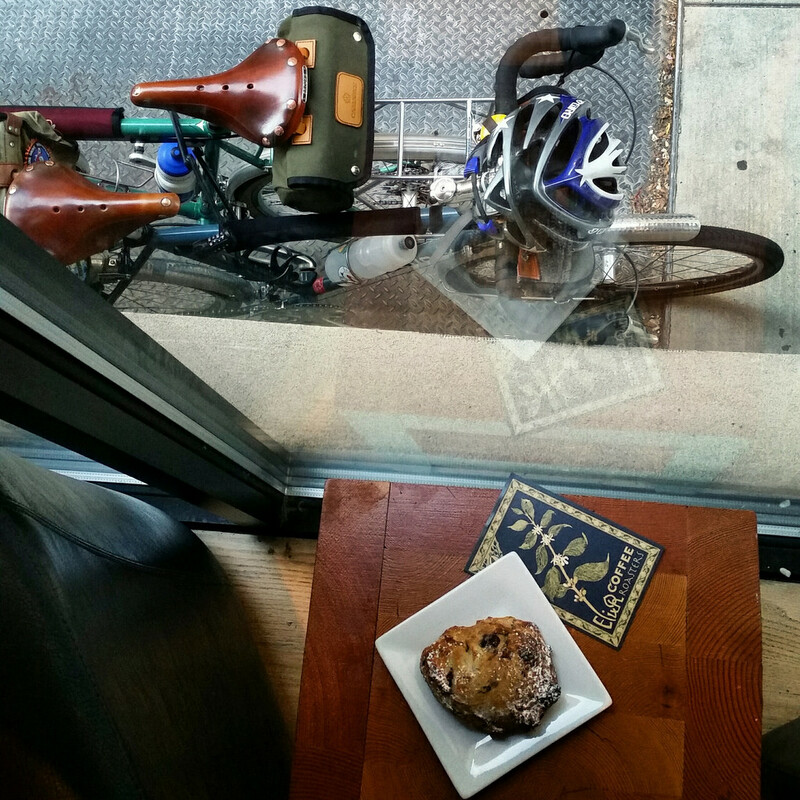 When November rolled around, the Coffeeneuring Challenge was in full swing, with people all around the country hopping on their bicycles in pursuit of a delicious cup of coffee (or other coffeeneuring-esque beverage). This was also the month of the Philadelphia Bike Expo, which Felkerino and I attended for the second year. We took advantage of having brought our bikes to the area by indulging in a morning cup at Elixr coffee, a local shop in the downtown area. Delicious. My commute route also changed this month, as I said goodbye to one job and hello to another. Switching jobs. Last day on this bike commute. I always loved riding by this spot along the Mall in the mornings. It’s one of those areas that’s hiding in plain sight. On the last commute to my old office, I paused for a couple of photos. I worried that I wouldn’t be able to continue my lunch run routine with the running crew from my old job, but luckily for me we’re still able to meet up. Long Live the Lunch Run! This group has helped me maintain year-round running motivation for the last two years. 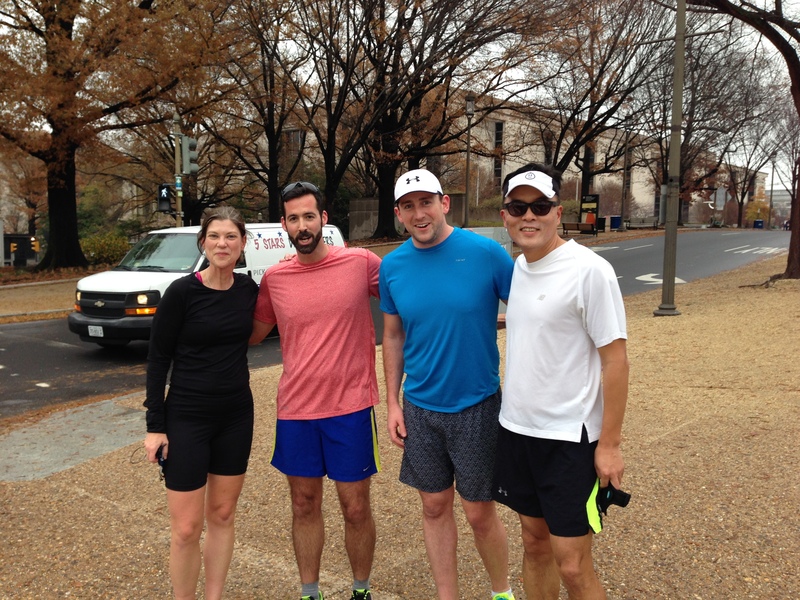 The lunch run helps us clear our minds, stretch our legs, and re-energize for the second half of the workday. Long live the lunch run! During December, Felkerino and I also began building our cycling base again, after a couple of months of taking it realatively easy. The break did it’s job. I missed riding long on our tandem, and it feels great to be back on this sturdy steed that fits us both so well and happily takes us anywhere. Returning with Jerry from the First Annual French Toast Ride. This pic is from a ride out to Poolesville, Maryland, with our friend Jerry. Felkerino insists that this was the First Annual French Toast Ride. Maybe it was, but I still had pancakes. We’ve also continued to make time for off-season coffeeneuring. Lately, our favorite weekend spot is The Coffee Bar, which offers a laid-back neighborly atmosphere and excellent coffee. 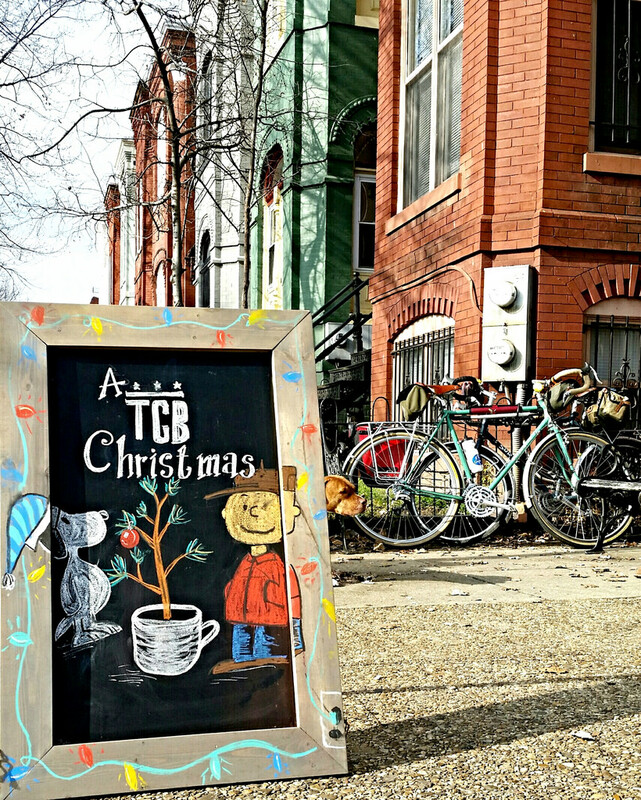 I couldn’t resist a shot of our bikes (with a dog cameo) beside this sign paying homage to my favorite animated television special, The Charlie Brown Christmas. It also seemed a fitting way to end 2014 in photos. Thank you for reading Chasing Mailboxes, and I wish you all the best of the season. MG, Thanks for taking the time to share your love for biking and life. It is an encouragement to read about your adventures. My wife just started riding with me this year after she accepted a corporate health challenge to ride 500 miles in 4 months. After that we purchased her a LHT and got in another 300 miles before the end of the season. It is so wonderful when your spouse is also your riding partner. Blessings to you. That’s awesome. I hope she likes her Surly. I agree with you. I feel so lucky that Felkerino and I share this interest and ride so much with each other. Hi, Mary…so you can get across Rollins Pass out of Boulder on a non mtn bike? I might be there in the summer of 2015 and was wondering if my 38mm tires on my Bike Friday could go on that trail. 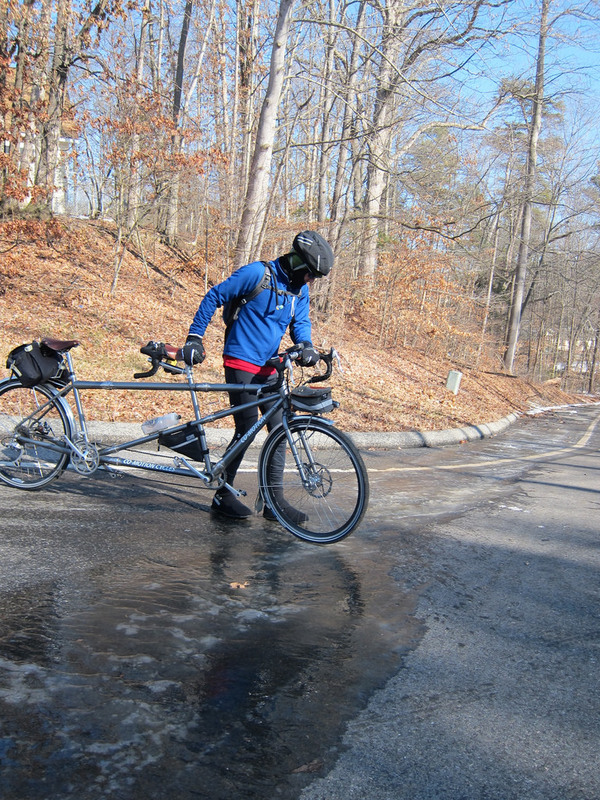 Technically our bike is a 29’er, although we had it set up more for heavy-duty touring. Here is my write-up of that day, with some pics so you have an idea of what the area looks like. https://chasingmailboxes.com/2014/07/18/rollins-pass-on-tandem/ You could try it on your Bike Friday, but it will be very slow going, particularly on the ascent because of how rocky it is going up after you leave Collinsville. The descent to Winter Park is pretty smooth, though. Wowzer, maybe I will rent a mtn bike instead. My derailleur sits way too low for something that rocky. Thanks for sharing! Thanks for sharing along the way and for compiling such a great wrap up with spectacular photos, too! Here’s to another wonderful year.